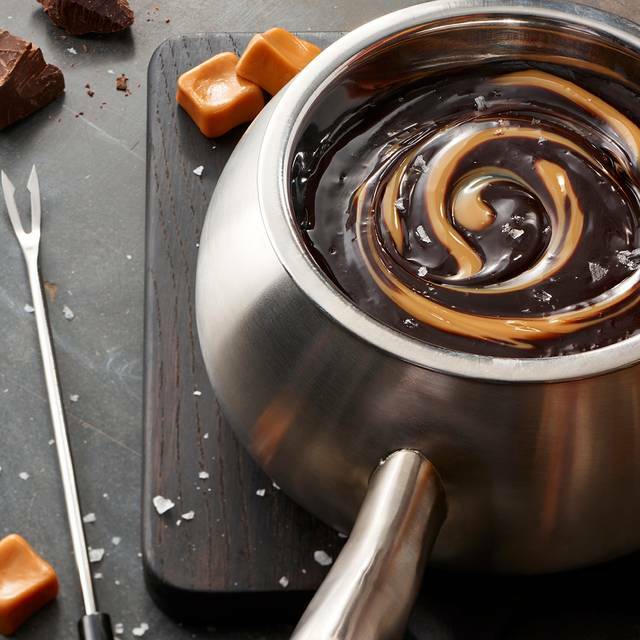 You must make reservations at least 5 minutes in advance of the time at The Melting Pot - Reston. 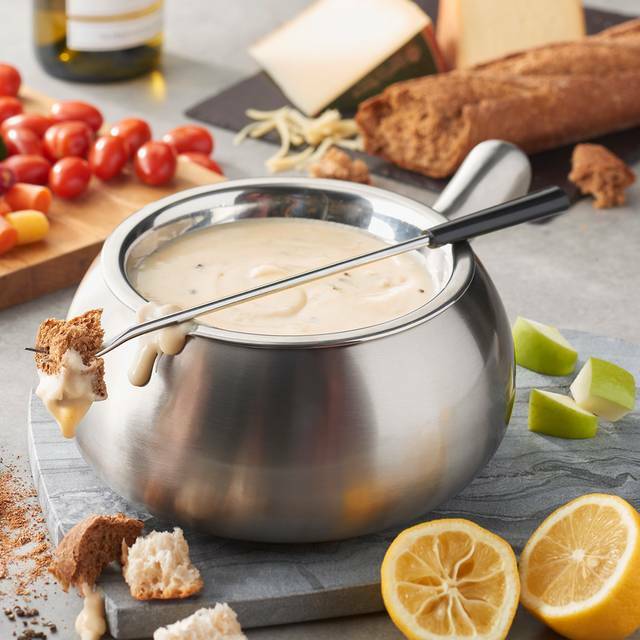 Fondue is a fun and interactive dining experience - and for more than three decades, The Melting Pot has defined the niche across the American dining scene. 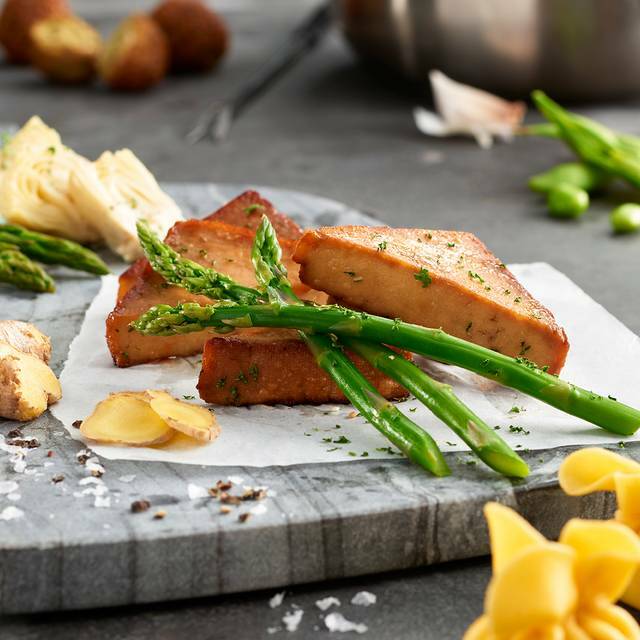 A visit to the sophisticated The Melting Pot introduces diners to the traditional and fun Swiss cooking style. The food was good, we had a great server, we were able to make accommodations due to food allergies. 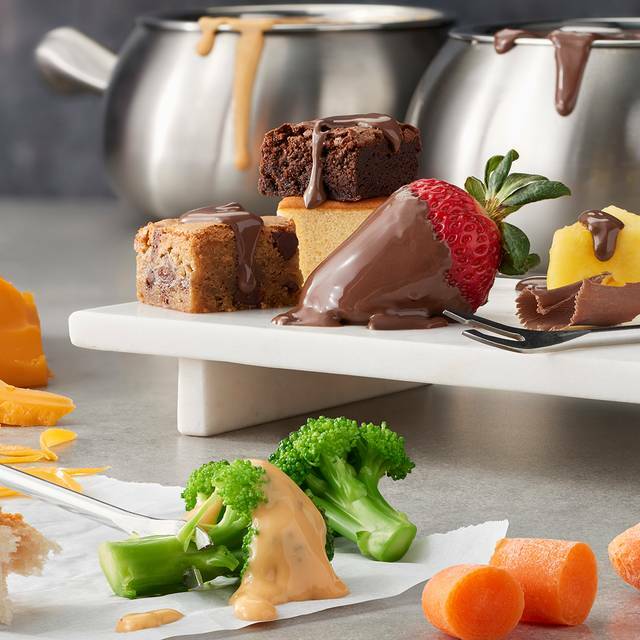 We always love Melting Pot! The food is delicious and service impeccable. As always we had an excellent meal. They accommodated our request for a large table with 2 burners. We tried the tempura. This method requires a bit more attention than the broth method. Once you get the hang of it the tempura fried food items are great with the different sauces. Thanks to Brian, the manager, for his brief tutorial on cooking in the hot oil. Denzel, our server, provided excellent, prompt service with each course. This is a great restaurant to celebrate a special event or just have a fun get together with family and friends. A good price on the monthly special, so my daughter and I enjoyed a nice meal and a mini celebration. The new grilled option was very good. I also liked the new gift options. There were bugs crawling on our table, one crawling on my silverware roll. When we mentioned it to the waitress she carried the silverware roll to some tall guy that may have been playing a manager role. He came to the table and stated that “it’s ladybug season and they are everywhere”.... unfortunately the bugs were not ladybugs but small black and white bugs and they targeted the area where the table meets the wall and is filled with crumbs and food pieces... he offered no apology, nothing. We love the melting pot and go frequently but this guy could care less about the customer or their experience. At this price point, the customer is paying for the food, the atmosphere, cleanliness, etc... I myself am a business owner and manage another business, I most certainly would have gone out of my way to correct the problem. They didn’t even offer so much as to wipe down the table. Unacceptable. I live like 15 minutes from this location, I live over 45 minutes from the Arlington location and believe I will take the drive there rather than being treated like this. It took a long time between courses. We got there at 8pm and did not get wrapped up until 10:15pm. We enjoyed the food but would have appreciated not sitting and waiting so long between courses as we. definitely were both tired and happily full at the end. For the amount of money spent I definitely wasn't overly satisfied with the amount of time spent just waiting. Food was great. Waitress was similar to a robot. Even spoke in a very monotone voice. NO personality at all. Had no problem telling us that she was very busy waiting on others. The menu can be a bit overwhelming, but our waitress was very patient and prepared for any questions. The cheese and dessert courses were fabulous. Our choices for cooking the entrees were ok. Again, our choices. I really appreciated the quiet. We could actually hear our conversations. Always love going there! Ladies night was great, we will be back! Great time and great food. We went for a birthday celebration and had a great time. The Melting Pot in Reston VA is a wonderful place for a special celebration or an intimate dinner! We were celebrating as a family and it was so much fun! Our server, Zach was hilarious and incredibly efficient and professional! Our food was delicious as always and everyone enjoyed the evening! I highly recommend this restaurant to one and all! We went for our anniversary and it was a great experience. All of the staff were attentive and friendly and we would go back. Be prepared to take left overs home. So great getting dessert here. Thank you!! They still had fun . I just won’t celebrate their again ! Love the gluten free options! Food and service are always great. Zach was an absolutely joy. We will definitely ask for him again when we return. His level of service was exemplary. Service was very slow, especially for a weeknight. Initial waitress was awful and totally unengaged so we politely asked for a replacement, they were great about it and our second waitress was much better. Still slow overall. It isn't intended to be a fast meal but we were waiting quite a bit between courses. Honestly one of the worst experiences I’ve had here. Very very slow service on a week night and thus adding to a poor dining experience. Was very disappointed. This is a fun experience to share a meal with friends and/or family. 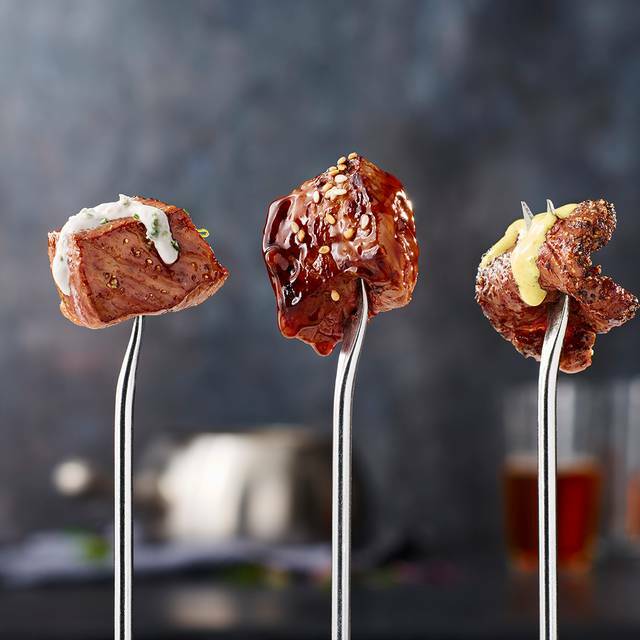 You get to eat sublime cheese fondue, cook beef, seafood, chicken, and or pork with different seasonings in a special broth or even do tempura. 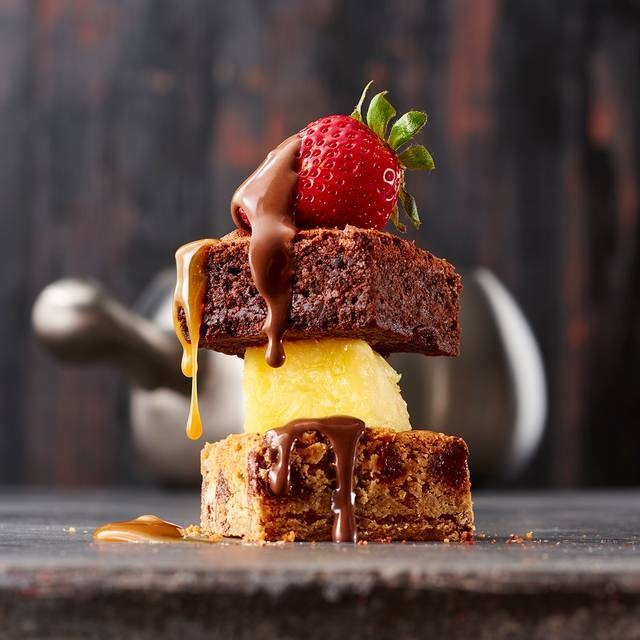 You have to save room for the decadent chocolate fondues. Service and ambience are great. Super, convenient garage parking out of the elements. Worth the drive if you don't live in Reston. Kids love it, too. So leave the phones at home, enjoy a fun family meal. My husband and I were fortunate enough to have a night out without the kids and I quickly choose The Melting Pot. We had a wonderful and delicious time. It's nice how each course is timed so that you get the most out of the experience. My husband noted that if we were at another restaurant we would have been finished already. It's nice not to rush a precious night out without the kids and feel like you can sit back and relax and just enjoy each other and good food. We had a wonderful time for my daughter’s birthday. Emily was our waitress and she was great. Very fun and delicious. Certain items are better value than others but overall a good experience. Like their site says, this is an experience, not somewhere to go for a quick meal. I didn’t realize that we had to cook our own entree, but it was fun. 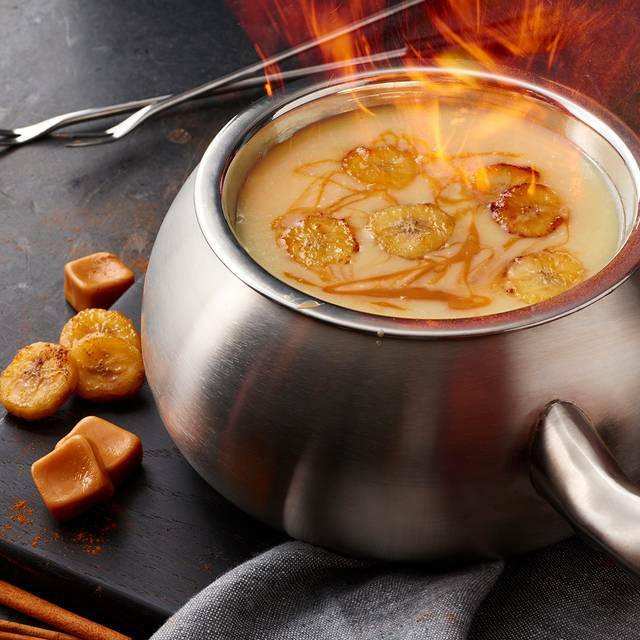 You do need to agree on your fondue choices with your party as there is only one pot. My husband and I have very different tastes, so that was a challenge for us, but everything we ate was delicious! The service was great, too. The meal took 2 1/2 hours, but was such a pleasant experience I would recommend it to all my friends. Attended for St. Patrick’s Day deal. Unfortunately most of the meal had nuts on it and fish so I could not enjoy. I also let my waiter know of these restrictions and was still served product that had nuts on them. He did give another plate when I noticed but then I only received 5 piece of steak and shrimp when a entree is 3 or 4. We had a lovely time at the Melting Pot and recommend it highly. My grandson loved the shrimp and the chocolate. The server was attentive but not intrusive and was very helpful to my grandson. As usual a great experience. the only downside is that there is not a menu item for smaller kids. Server was great. Glad they finally placed cooking times on table. Great meal and fun experience. I would suggest being able to order a side not with fondue. The sides aren’t the best in fondue. You should just be able to order a side through the kitchen. Awesome evening. Great bartender Devin.. A little behind with reservation times. Dinner was wonderful. Very relaxed . We go once a year, every year, for a special occasion. This time, it was excellent - for the first time. The food was, well, delicious — thanks to a server who really hit everything right with the coq a vin preparation. Dessert was spot-on for fondue (a new selection on the menu), and even the salad and cheese fondue seemed elevated. Not sure if this was a one-off or a new thing, but a consistently fair to good experience unexpectedly became excellent. Maybe up our visits to twice a year? Went for my birthday, and ordered the 4 course meal. There was too much food for either me or my husband to eat. 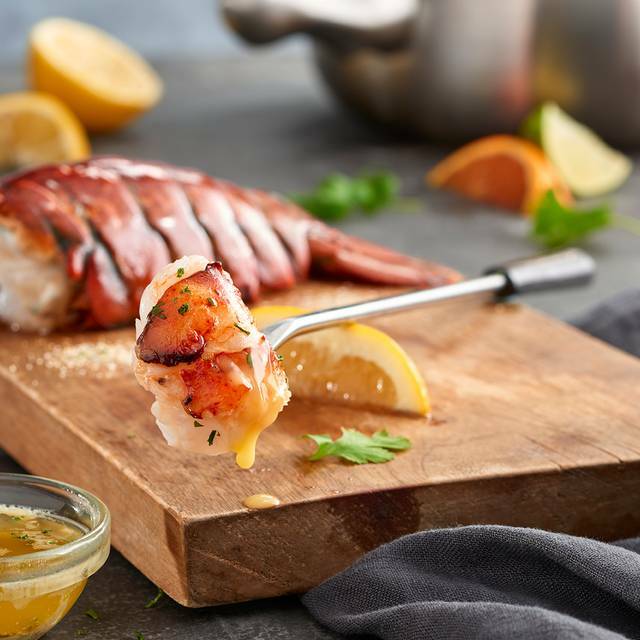 Comes with choice of Cheese fondue, salad, entrée, and chocolate fondue. Even our daughter (11) seemed to enjoy it. Only issue is that parking is a little ways away, unless you park in handicapped, which is only parking in front of building. Very pelasant experience and we'll go back again. Food took a while to come out. Staff was average. The food was great , but the overall experience was average. Wonderful meal, if a bit pricey. The service was terrific and the food was very, very good. I'm not personally big on fondue but my wife is and it was her birthday so some friends and I took her to dinner there. She really enjoyed it and I must say that I was quite pleasantly surprised. The bathroom floor was soaked when we visited. but food and everything else was great. 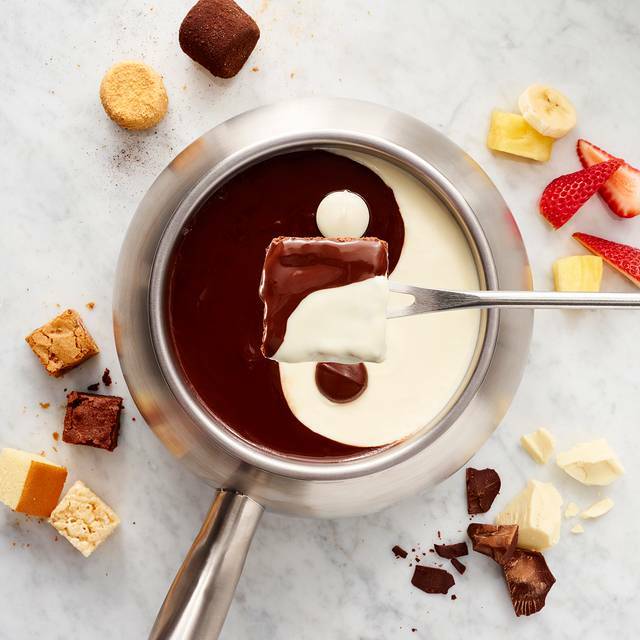 We used to go to The Melting Pot often but then started making fondue at home. We went to celebrate a momentous occasion, and I was more disappointed than ever! The folks at the reservation desk are clueless. Even with an Open Table reservation, we still waited. Our waitress fake and hurried and really pushed herself to be nice. She asked us the normal courtesy questions (Have you been here before?) but didn't even bother to listen to what we said. She was also VERY hurried and rushed us out the door!! She brought dessert before we were finished with the cheese course and then the check before we asked or were finished with dessert. So rushed! She also seemed disappointed that we were only having a cheese course and a dessert course (not the full 4-course meal). The food was fair but soooo expensive for what it is. The chocolate isn't real melted chocolate...it's some sort of gelatinous chocolate-flavored stuff that the waitress brings in the melting pot.